"Everything is sculpture. 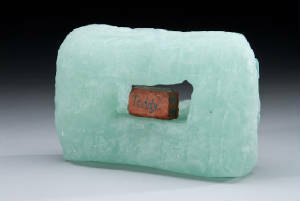 Any material, any idea without hindrance born into space, I consider sculpture." These books may be ordered from Schiffer Publishing, Amazon,Target, Walmart, Barnes and Noble, etc. Click here to order my books from the Schiffer Publishing website. The Art Museum at the University of Kentucky; gift of the artist, Copyright 2008. No paints are used in the creation of each work of art. Each splash of color in the work is created either by separately hand cut or broken pieces of glass and/or glass frit (fine crushed glass). 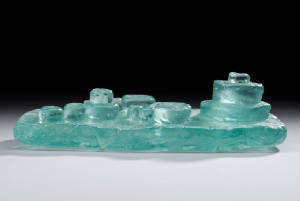 The wavy and/or straight lines in some of the works are created from spaghetti-like pieces of glass called glass "stringers." These stringers are bent and melted into the final fused glass creation. 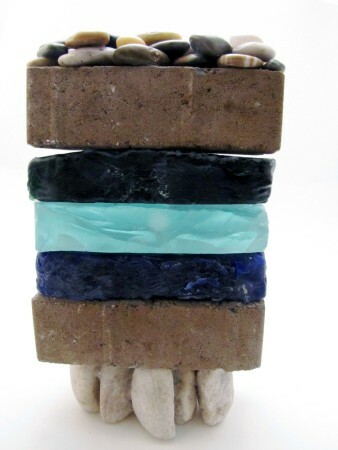 Fusing and casting involves the process of slowing kiln firing the glass multiple times in molds at high temperatures. I also accept commissions. Please email me for a price quote. All the works in this web site are copyrighted. No reproduction and/or distribution of any of the work from this web site, in any form/media with out the artist's consent, is permitted. All rights reserved. Copyright 2000-2016. CURRENT 2012 -2016 EXHIBITION AND EVENT SCHEDULE (Please see the press highlights section for recent press). Class on "Becoming a Professional Artist"--sign up for my class at Arlington County Adult Education. See photo above of "Inner Core"
See http://myartgrant.blogspot.com for photos and more information. 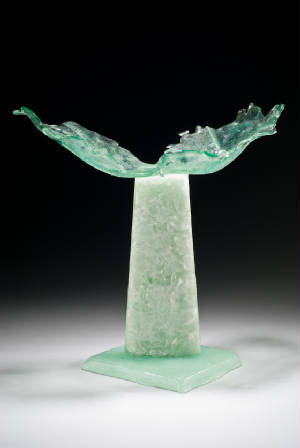 Art Glass Today by Jeffrey Snyder. 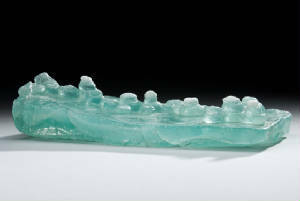 Accepted work: "Pod City", kiln-cast recycled glass sculpture. This is a National juried exhibit. See one or more of my mini-canvasses in this unique exhibition called Canvas Project II and presented by the Arthouse Co-op. Congratulations and thanks to the glass collector who made my "anonymous" work the second work selected and purchased from this special exhibit. See the photo above. Feature story on my book "Seeing Art in Trash." March/April 2009 Home and Design Magazine, Spring Edition, photo. September 2007 Washington Post/Home Section, featured photo. October 2006 Elan Magazine (for Northern Virginia), artist feature.